Lightweight, double jacket construction, combining 100% premium ring spun staple and filament polyester fibers over a thin wall, high tensile, EPDM rubber liner. 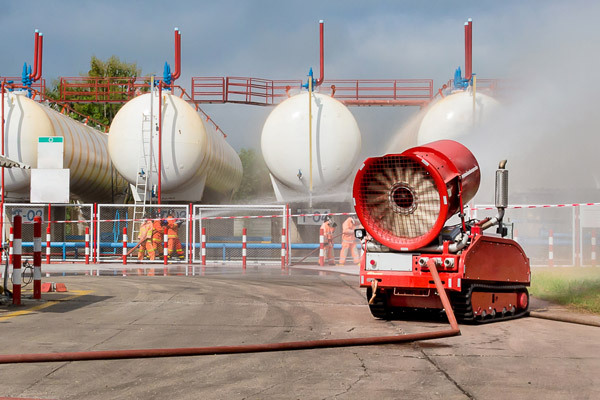 The outer jacket is mildew and moisture resistant, available with double dip “Key-Lok” polyurethane based polymer impregnation which shall meet the requirements of MIL‑H‑24606 latest edition for abrasion resistance. 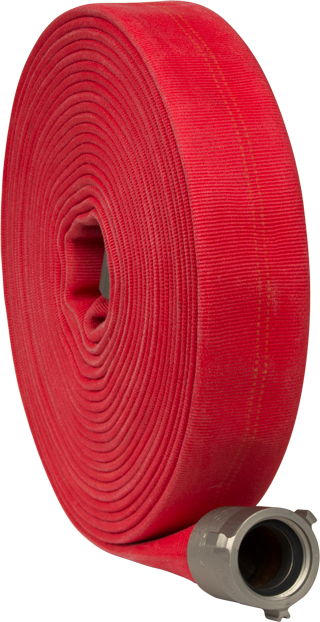 This reliable, impregnated double jacket fire hose is tested to 600 and 800 psi, meets MIL‑H‑24606 latest edition and is UL Listed* and FM Approved. Eco-10 can be coupled with 6061-T6 extruded aluminum threaded couplings or forged Storz. Brass, special threads or other custom features available upon request.